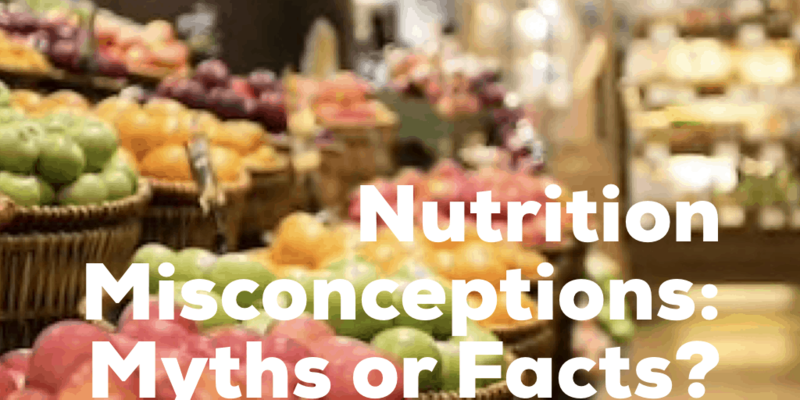 There are a ton of misconceptions when it comes to nutrition. You might be surprised by how many you believed in prior to this. Here’s a brief myth vs. fact check for you to use and move forward with in your nutritional endeavors. Fact: Drastic reduction in caloric intake will actually hinder fat loss as the body must slow down and hang on to stored energy (body fat) as a survival mechanism. If energy intake does not meet energy expenditure, metabolic imbalances will occur (Galgani & Ravussin, 2008). What’s worse is when the metabolism realizes it’s in starvation mode (imbalance) the first step is to get rid of calorie-hungry muscle tissue—meaning, muscles are the first to go (and who wants that). Fact: The word “diet” is a complicated term. “Lifestyle” might be a better choice when it comes to being a healthier human. Healthy humans are those who exercise often, sleep well, and eat right REGULARLY. Health conscious people do not work out every day for seven days and then stop altogether for the next three weeks; they do not stay up all night watching TV or working; nor do they jump from fad diet to fad diet. If you want to be healthier you need to make choices that are sustainable and attainable over the long term. Fact: The cool thing about nutrition is that it is very unique to each and every individual. High carb, low fat might work for person A but may not work for person B. Gluten free may work for someone who is gluten intolerant and Keto may work for someone who is epileptic; however, those choices may not work for you. 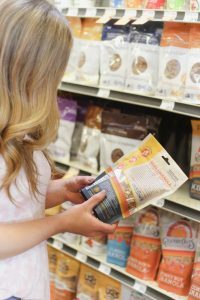 Work with a specialist who will create a plan specific to you and your needs—the most effective way to meet your nutritional goals. Fact: Generally, registered nutritionists and dietitians will provide you a solid baseline for meeting your goals. A reason why you might not have previously seen any results may not necessarily be the nutritionist or RD you were working with, but YOU. Admittingly, this is a pretty deep fact check, but it’s an important one. Ask yourself these questions: Did I follow the plan all the way through? Did I give it enough time? Did I consult with my nutritionist/RD about this issue? Did I give up before I even started?